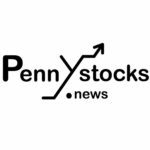 SAN DIEGO, CA — October 30, 2018 — InvestorsHub NewsWire — Global Payout Inc. (OTCPink:GOHE) (“Global”) and its wholly owned subsidiary MTrac Tech Corp. (“MTrac” or the “Company”) are pleased to announce that, after many months of diligence, they are in the final stages of the audit and have begun drafting the Form 10, which the Company anticipates will be filed within the next few weeks. The Form 10 represents a key mile marker for this Company as it moves to expand nationwide as a premier technology provider. Over the last few weeks the team at MTrac has been dedicated to onboarding as many clients as possible and streamlining this process to allow for the fastest possible turn around from inquiry to implementation. The filing of the Form 10 combined with the first real round of revenue arising from the current business plan for this Company signifies the diligence and commitment the team has to making MTrac the industry standard. It is a signal to shareholders that we are serious about establishing ourselves as a major player in the multibillion-dollar cannabis facilitation market. This press release contains forward-looking statements within the meaning of Section 27A of the Securities Act of 1933, as amended, and Section 21E of the Securities Exchange Act of 1934, as amended. In some cases, you can identify forward-looking statements by the following words: “anticipate,” “believe,” “continue,” “could,” “estimate,” “expect,” “intend,” “may,” “ongoing,” “plan,” “potential,” “predict,” “project,” “should,” “will,” “would,” or the negative of these terms or other comparable terminology, although not all forward-looking statements contain these words. Forward-looking statements are not a guarantee of future performance or results and will not necessarily be accurate indications of the times at, or by, which such performance or results will be achieved. Forward-looking statements are based on information available at the time the statements are made and involve known and unknown risks, uncertainty and other factors that may cause our results, levels of activity, performance or achievements to be materially different from the information expressed or implied by the forward-looking statements in this press release. This press release should be considered in light of all filings of the Company that are disclosed on the OTC Markets.com website.